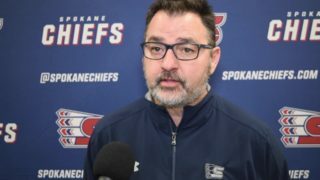 KENNEWICK, Wash. – The Tri-City Americans scored three unanswered goals, two of them in the third period to snap a 1-1 tie, as they defeated the Spokane Chiefs 3-1 Saturday night in Kennewick. 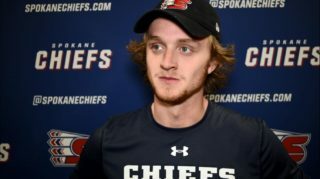 The Chiefs have now lost 5-of-6 to the Americans this season, including the last three in a row. 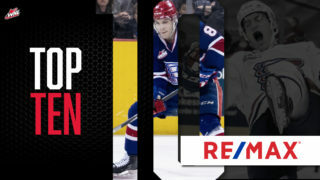 Spokane took a 1-0 lead midway through the first period when Riley McKay tipped an Ondrej Najman shot in for his second goal of the season. Ty Smith also picked up an assist. The Chiefs held the lead at 1-0 after one as they out shot Tri-City 10-6 in the period. Tri-City would even the score on a Tyler Sandhu power play goal early in the second as the two teams were tied at one after two periods. Tri-City would take the lead for good midway through the third period on a Vladislav Lukin goal net front. 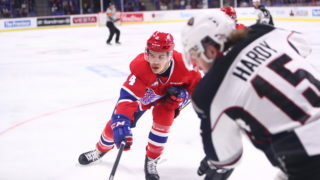 The Americans would put the game away with a power play goal into the Chiefs empty net in the final seconds as Sandhu netted his second of the contest to close out a 3-1 win. 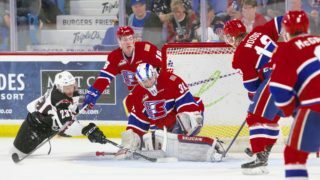 Tri-City out shot Spokane 33-30 in the game, as Spokane went 0-3 on the power play and Tri-City was 2-5. 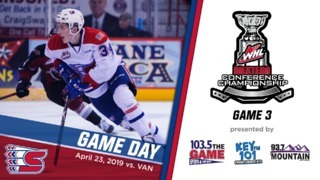 Spokane will continue their three game road trip Wednesday night in Kelowna against the Rockets at 7 p.m. Mike Boyle will have the call on 1510 KGA starting with the pre-game show at 6:30 p.m.